Vantiv, a US-based payment processing and technology provider, and Worldpay, its counterpart in the UK, have reached “an agreement in principle on the key terms of a potential merger”. Vantiv has been around since the 1970s (it used to be called Fifth Third Processing Solutions) and is one of the largest merchant acquirers in the US today. It employs 3,600 people and processes around 20.1 billion payment transactions collectively worth $726 billion per year. 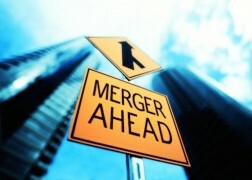 It has grown substantially via M&A over the years. Its acquisitions include Moneris Solutions (2016), Mercury Payment Systems (2014) and Element Payment Services (2013). Worldpay was founded by Nick Ogden in the late 1980s (Ogden has recently embarked on a new venture – a clearing bank in the UK). It was sold to RBS in 2002, and later to private equity firms Bain Capital and Advent International. In 2015, Worldpay was floated on the London Stock Exchange (LSE) – the largest London IPO that year. Last year, Worldpay recorded the revenues of £4.5 billion and operating profit of £389.2 million. The company employs 5,000 people. If the Vantiv-Worldpay merger goes ahead, Worldpay shareholders would own approximately 41% of the share capital of the combined group on a fully diluted basis. The total value to Worldpay shareholders would be £3.85 per Worldpay share, making Worldpay worth £9.1 billion (of which £1.4 billion is for debt coverage). Worldpay shares will be delisted from LSE. Common stock in Vantiv, which will be the ultimate holding company of the combined group, will continue to be listed on the New York Stock Exchange. There is “compelling strategic, commercial and financial rationale for combining Worldpay and Vantiv’s complementary businesses,” the two companies say. The new entity will operate in “the four core regions of the he US, Europe, Asia-Pacific and South America”. It will be led by Charles Drucker (currently president and CEO of Vantiv) as executive chairman and co-CEO, Philip Jansen (currently CEO of Worldpay) as co-CEO, and Stephanie Ferris as CFO (Vantiv’s CFO at present). The boards of the two firms “have identified substantial opportunities for cost synergies, which support significant potential shareholder value creation”. There are also “additional revenue growth opportunities”. Fraud and fintech partnerships; big data and blockchain—all are among the hottest topics in payments—and will continue to be major forces shaping the industry in 2017, according to a new report from Vantiv Inc. The first installment of the payment processor and technology solutions provider’s Trends to Watch in 2017—focused on financial institutions—tabbed those four areas as especially important points of emphasis for banks in the New Year. Offering a single software platform for merchants. With special guest stars Worldpay, Como Global, Mastercard, Here Technologies, Dream Payments and Wirecard.